If you need an adequate protection solution for your files, Knox can provide it. 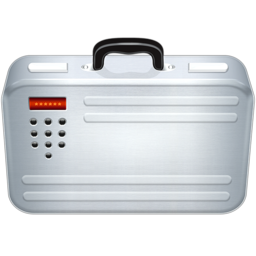 The application allows you to create one or more encrypted and password-protected vaults, in which you can store any files and folders. Besides protecting your files on your local disk, the application also gives you the possibility of transporting the files in a secure fashion, because everything can be stored in a single mountable file. You don't have to interact with a user interface too much. When launched for the first time, Knox will display options for creating your first vault. If you run the application in the future, you must look in the Vaults menu, on the top edge of the screen, to find options for creating new vaults, opening existing ones and for backing up or restoring your vaults. Creating a new vault is a trivial task, which can be done on a compact window. It is sufficient to name your vault and type in a password, but you can also bring up a few advanced options, on the same window, if you wish to store the vault in a specific folder, change its maximum size and encryption algorithm or make it compatible with older operating systems. 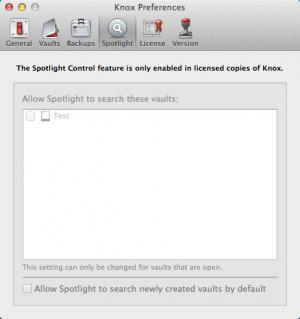 You can also tick an option to allow Spotlight to search for the vault. Vaults can be mounted like DMG archive files and you can store any data in them. The main difference is that you will have to type in your password each time you mount such a vault. Knox can be set to back up one or more vaults automatically. You can define your own backup schedule and make other fine configurations, in the application's general settings menu. Portability is another advantage you can expect from Knox. Vaults can be compacted, to make them fit on removable drives. What's more, the application allows you to format removable USB drives and use them as encrypted vaults. In other words, instead of creating and copying vaults to an external drive, you can use the external drive itself as a vault. You can store files in secure vaults. The application allows you to use removable drives as vaults. Also, Knox can be scheduled to back up vaults, on a regular basis. Knox provides you with everything you need to protect and transport your files as securely as possible. You can download Knox free here.